Simplify the accounts payable process with accounts payable (AP) automation. Businesses often receive thousands of invoices each day and processing them all requires time, effort, and resources. Accounts payable automation software helps organizations pay for invoices in an organized, timely manner for the precise amounts. Given how critical invoice management is to fiscal health, why are so many businesses trusting this process to manual methods like spreadsheets or paper invoices? 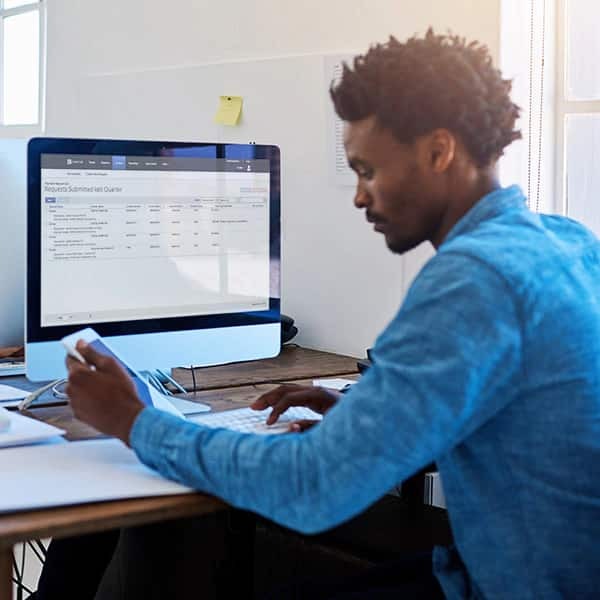 Businesses with an automated accounts payable process save on paper, computing resources, and vendor fees from lost invoices and human error. Furthermore, IT staff and accountants save time when they no longer have to pull data together from fragmented sources. By switching from a manual invoice processing system to a fully automated, cloud-based AP process, you can cut costs, save time, and cut down on errors. 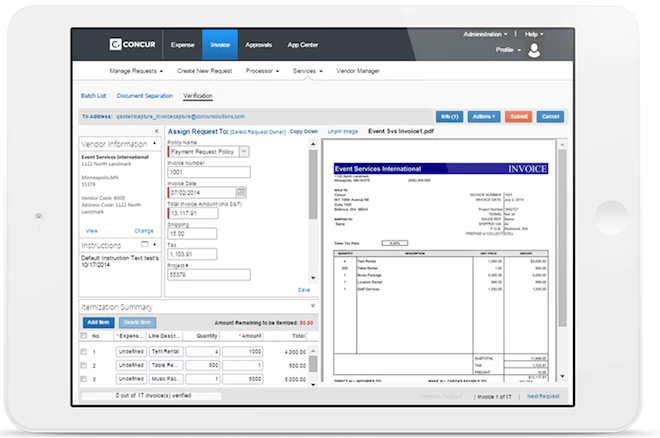 Concur Invoice captures invoices electronically using optical character recognition (OCR) technology, uses two- and three-way matching to pair the PO to its associated invoice, then accurately records it to your AP system. 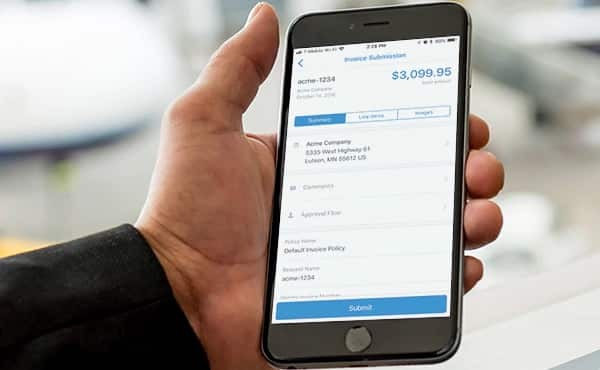 Web-based and mobile applications are easy to use and help you to streamline your AP processes, from on-the-go authorization to supplier payment. Match invoices with POs, track the progress of submitted invoices, and expedite approvals and payments – with anytime, anywhere convenience. 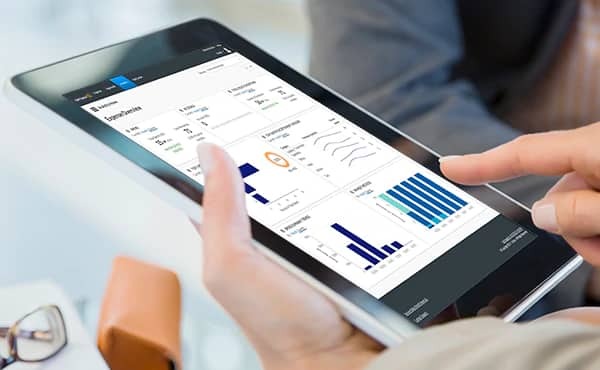 When you can see how employees are spending in near real time – or even before the money is spent – you can better forecast cash flow, schedule payments, and identify vendor discount opportunities. BI tools also make it easy to see when accounts were reconciled, run AP aging reports, and proactively track spend against budget. Concur Invoice integrates your financial, HR and other business-critical systems to deliver all your data, all in one place. 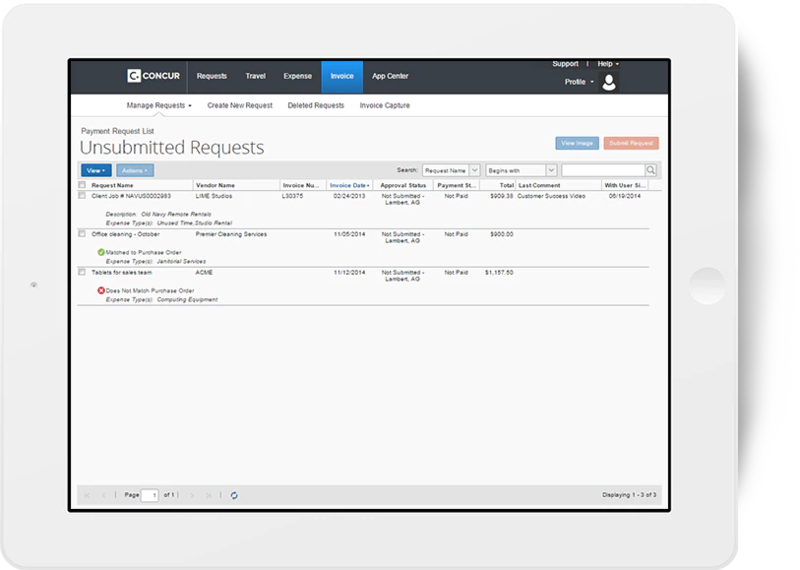 It also connects with solutions from other vendors across the procure-to-pay lifecycle for a truly streamlined invoice process. You can also tailor your solution to handle your company’s unique AP workflows and policies. The easier an invoice policy is to understand, the easier it is for your employees to follow and for management to enforce. Use simple language that doesn’t invite misinterpretation and don’t make your policy unnecessarily wordy. Employees who help build a policy are simply more likely to follow it! Ask team members from different departments to participate in creating your invoice policy to ensure it addresses the pain points faced company-wide. Do you already have other policies in place that may affect the management or approval of invoices? Consider referencing such policies as Document Retention, Delegation of Authority, or Segregation of Duties. Whether your reasons for creating a policy are minimizing late vendor charges, managing exceptions consistently or ensuring the company is always audit-ready, explain these reasons in writing to maximize employee buy-in. When you apply any policy fairly across all employees, they’re more likely to embrace it. Ensure that every employee, regardless of position or tenure, respects the policy and keep a record of all actions taken. To get more tips into invoice policy creation, and a policy template, read the paper, “Taking the Pain Out of Accounts Payable Management”.